True Strength is a journey. It never rests, it never quits. It’s about overcoming obstacles, accomplishing goals, and recognizing achievements. And then it resets to achieve again. As your trusted sports nutrition partner in goal achievement, ON demonstrates that same passion while crafting our products. From the raw materials we source to our state-of-the-art manufacturing processes, no compromises are made. You set the bar higher after every workout, we set the bar higher to redefine the industry standards and ensure you realize optimum results. 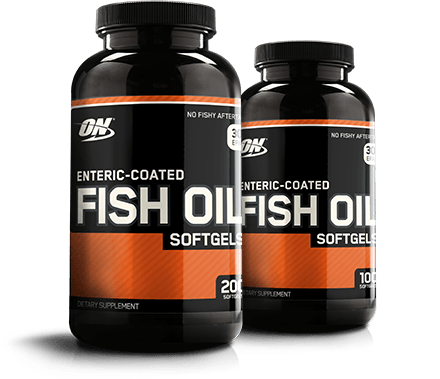 Fish Oils contain docosahexaenoic acid (DHA) and eicosapentaenoic acid (EPA). These are essential fats that can’t be made by your body. 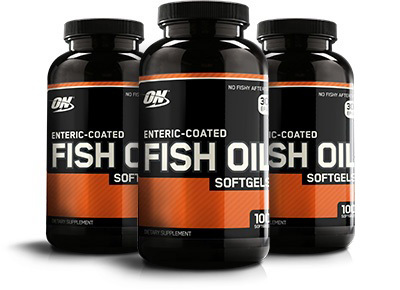 The only way to get DHA and EPA is by eating foods like salmon and taking supplements like ON Fish Oil Softgels which are enteric coated to help you avoid fishy aftertaste. Optimum Nutrition has been spotting the efforts of goal driven individuals since 1986. As one of the few companies to operate state-of-the-art manufacturing facilities that are GMP compliant, ON assures that every shake will mix up effortlessly because of its first-to-market instantization process. You also expect each shake to taste the same as the last and your next. That’s the kind of consistency ON delivers.